The U.S. Postal Service announced that it will release a Forever Stamp featuring America’s favorite neighbor, television icon Mister Rogers. The title character of the half-hour children’s educational television series Mister Rogers’ Neighborhood, Fred Rogers “was known as a beloved television neighbor to generations of children,” a statement from USPS said. The stamp is scheduled to be unveiled March 23, 50 years after the original episode of the series aired in the U.S. in 1968. Rogers hosted Mister Rogers’ Neighborhood for its full 30-year run until it ended in 2001. He died two years later at the age of 74 after battling stomach cancer. The show is known for delicately addressing topics like anger, sensitivity, fear and divorce. 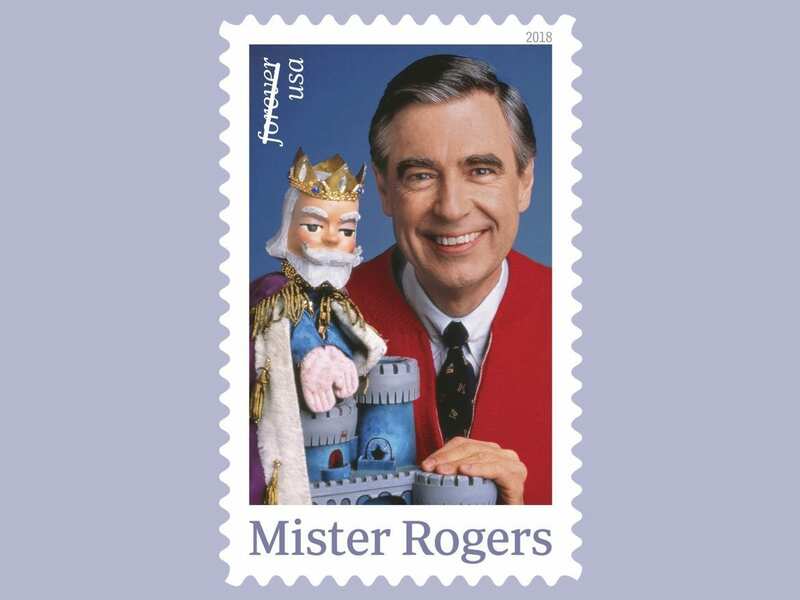 Rogers opened each episode of the show by changing out of a blazer and into a cozy cardigan while singing “Won’t You Be My Neighbor.” The USPS stamp will feature Rogers in his signature cardigan posing with King Friday XIII, a puppet that made frequent appearances on the show. The USPS receives about 40,000 suggestions for stamps each year, a spokesman for the postal service said. The Citizen’s Stamp Advisory Committee, appointed by the Postmaster General, then narrows the suggestions down and begins approving some of them to appear on stamps. The process normally takes around three years. The first-day-of-issue dedication ceremony will take place in WQED’s Fred Rogers Studio in Pittsburgh where the show was filmed. The news of the stamp released comes a little over a week after an announcement that a Mister Rogers biopic is in the works. TriStar Pictures announced Jan. 29 that it was working on a feature film about Rogers called “You Are My Friend.” Tom Hanks will play Rogers in the film.